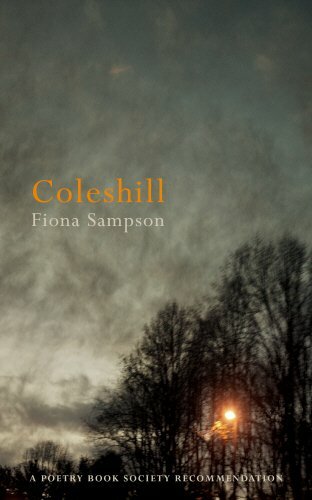 In her latest collection, Coleshill, Fiona Sampson remakes her authorial space in direct continuity with the modernist tradition. Much like modernist (and late modernist) icons, such as Ford, Joyce, Eliot, Woolf, or – a known favourite of Sampson’s – Durrell, the poetry in this superlative collection speaks with uncanny authority from and in the space before or, thereby, beyond the discrete ego’s organisation. However, where the idea of the ‘spirit of place’ fits, say, Durrell, under the ‘idea of spatial form’ (Joseph Frank), where time or narrative becomes a radically sliding, eliding, relative enterprise, Sampson’s verse seems to me to be sourced and targeted at a slightly different gambit. With an early career of music in her youth behind her, Sampson seems to be here more akin to the Bergson of Time and Free Will, whose critique was precisely against the spatialisation of either the self or its bearer, time. Perhaps it’s no coincidence then, that Bergson, like Augustine before him, used the idea of music as a way of grasping the most real or true aspect of temporal being. Music, of course, is unique among the arts in being before or beyond the world of time and space, speaking to a more primordial aspect, facet or experience of Being, before the dichotomising, classifying analyticity of the ego-organization: before language or logic. Without, myself, being in any way an adept of music, following the latter insight, we might say, heuristically, that music in this sense is made of elsewhere, of non-identity, of silence. Music we might say is not an essence, but a ‘meta-essence’, a kind of radical connective, rather than a given or thing. Thus, we open the collection (after a ‘Prelude’) with ‘Canto’, and the opening conceit has the poet as ‘suspended’ above a ‘dark pool.’ Like Narcissus (icon of egocentricity) the poet in this poem plunges her hand into the water, creating a ‘splash / of black mercury.’ This is both concrete (a fertile description of color) and loaded with the idea of the breaching of the self in the mirror, and, to boot, with the idea of ‘mercury’, the unleashing of the god of messengers, the in-between god – Sampson’s music, however sweet and fluent, being less Apollonic in its intents than all that. Indeed the experience of, expression of, and discourse of the uncanny and the dream-like runs from start to finish throughout the collection. As if, again, (her) music was a kind of silence. Indeed, central to my discussion here is – again modernist – the idea that Sampson critiques, via her (grave) song, the self-regulating self; that hers, like her modernist forebears, is a reaction to enlightenment Titanism; that her-self (as poet) is found just as much in transgression and dis-integration, as in any purported giving of the law to her-self. For, in this collection, even the dreams dream. Uncanny too, witness the second sonnet in the collection: ‘A window at the road’s end gleams / like a gaze: too long, misplaced.’ Which is to say an image of both inwardness and exteriority juxtaposed seamlessly; to continue my earlier line of thought, that duplicitous window might be an image of the process of representation, as (shifty) process, and another index to radical relativity. The sonnet ends, in its discourse, with something paradoxically cognate, namely, an ‘angel / at the door, with a knife.’ Much later in the collection, in ‘A Charm Against Knives’ we read of ‘the way dirt // seems a quality / of skin itself…’ Again, exterior and interior meld and are immanent to each other, like something out of Borges or Escher. In a dream-like musical world this borderline ethos is perhaps not quite as strange as common sense might have it. In ‘The Changes’ after all, ‘blood’ is ‘honey.’ Perhaps, this means that silence or the caesurae in things is where those things inhale their living or growing or moving quality. As Hegel argues at the beginning of his Logic, Being is the same as Nothing, and their sublation, however elusive, is, like music, ‘Becoming.’ As with modernism more generally the tale being told is about (meant logically and topographically) the very telling. ‘[H]allucinatory’ (‘Sonnet Three – The Night-Drive’), ‘not breath // but an older music / remembered…’ (Song For Poll’s Bees’). In two subsequent bee songs, perhaps the ‘not-two-be’ is being alluded to. God is ‘endless form’, ‘a Perfection that is bodiless / here and everywhere’ (‘Bee Sama’). Invoked, here as elsewhere is the Eliot of ‘The Hollow Men’ and ‘Four Quartets’ as well as Keats’s notion of ‘negative capability’ – perhaps the romantic origin of the modernist critique of the discrete and dominative ego. Form is allied with the sound of sound, a kind of pure or babbling vertigo, as against words’ lone frigidity and determinateness. The poetic persona, rather than being solid and given, is to be found, perhaps ‘soft in the grain,’ (‘Winter Bees’). What ‘moves us’ is ‘a small spring / resurrection, in the time / just before spring.’ Which is to say the movement behind movement, as the poet stoops and grows ‘strange to myself,’ (‘The Corn Versicles’). Being is ruptured from the intentionality of the cogito. If ‘What the wasps spoil / is sweetest,’ (‘Hymn Of The Coleshill Orchards’), perhaps it’s because ‘Sometimes skin / weeps, when you can’t bear to…’ (‘Impetigo Madrigal’). Whether in personal privation, or in ‘the squeezebox of history’ when we breathe, ‘our own lungs work air / that thickens / because we grieve’ (‘A Game Of Cards’). Which is to say silence or death, those radical elsewheres, are what condition the movement and the music of a truer aspect of self. Self knows itself only in its radically eliding otherness to it-self. ‘What gives life’s the thing that kills,’ ‘(Psalm Of The Coleshill Washing Lines’). ‘[W]ho rocks and who is rocked / is undivided,’ and the apostrophized ‘you’ is ‘moved by moving me…’ (‘Sonnet Thirteen – Liebeslied’). In ‘Summer Dusk’ the eighth sonnet of the collection, we’ve a paradox or force-field which typifies the collection: light against dark; or, perhaps more interesting, the pellucid in-sight of the poetic voice as against the dire story being told. For all the weight and authority of song, ultimately, Apollo has his dream-like shadow in the Dionysian. In a way the underworld of the self is a safer place; we are freer or truer there, perhaps. Freer to dream, dream again, dream better.